Tommy Robinson out on bail, procedural hearing, to appear before the court on the 23rd of October, asks BBC why they haven’t reported on his prison conditions……. – The Tundra Tabloids……. 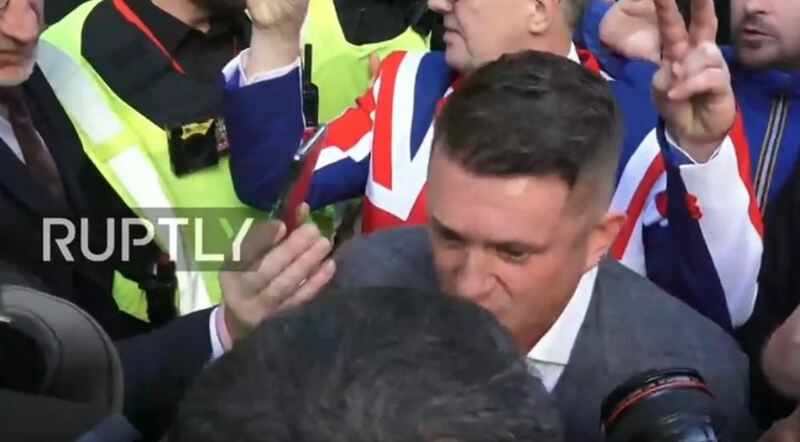 Tommy Robinson out on bail, procedural hearing, to appear before the court on the 23rd of October, asks BBC why they haven’t reported on his prison conditions……. Tommy is giving a gentle lecture to the media. Asking them why they haven’t covered his outrageous treatment in prison, or the outrageous conduct of the judge in Leeds. They don’t even know the facts (they say). They are making excuses for their non-coverage. Next Post Next Post Finnish Security Intelligence Service says 200 terrorists soon to be freed in Europe…….